Give your customers the clothes they crave. 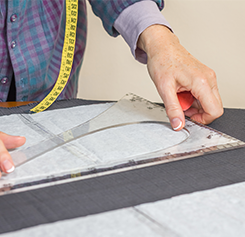 MCM Enterprise offers a complete “pattern and sample” service to fashion houses and clothing stores nationwide. The world of fashion moves fast and any delay can cost you a fortune. We offer full design support for fast sample production, both domestically and overseas. With a reputation in transforming creative design ideas and concepts into production quality garments, MCM Enterprise is the leading source for sample making. Our design support team works intimately with all design specifications and information you submit in order to best meet your expectations and deliver the best possible value.